Making your own stencil is a simple process that only requires a few tools. The stencil can then be used many times to apply a pattern on a number of different surfaces. 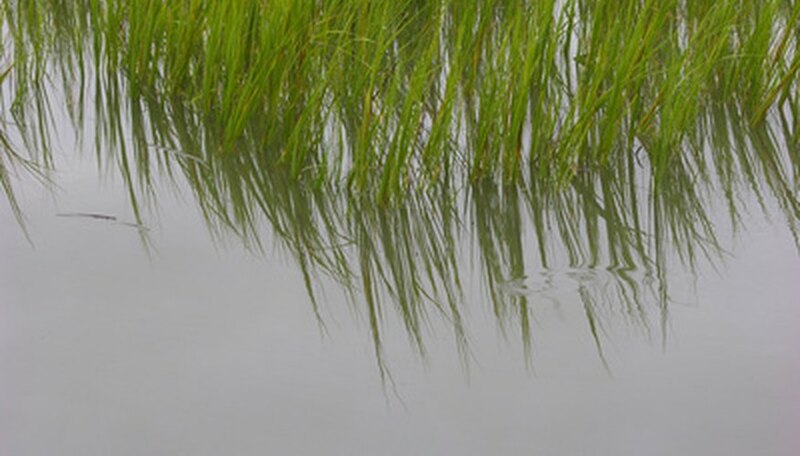 You can use this marsh grass camouflage stencil to create a marsh grass pattern on the sides of a boat, clothing or walls. Be sure to use the right paint for the surface you are working with. Draw a picture of marsh grass camouflage on a piece of white paper using a pencil. Alternatively you can find a photo of marsh grass camouflage and print out the picture. Tape the marsh grass photo to a flat working surface. Cut out the grass blades using a sharp knife. Tape the piece of paper to a sheet of cardboard. Trace around the inside of the cut-out grass blades onto the cardboard. Remove the piece of paper and cut out the grass blades on the cardboard to create the stencil. Use the stencil by attaching it to your work surface and either painting or spray painting the surface. Be sure to pad the surface you are working on before using the sharp knife. Always exercise caution when working with sharp objects.